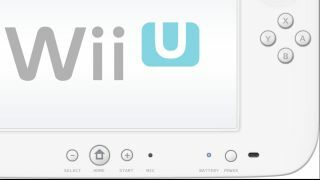 Nintendo has revealed that it is getting into TV in a big way with the Wii U, announcing its new service TVii. Given that the Wii U's Gamepad is essentially a faux-tablet, Nintendo is hoping to capitalise on this second-screen viewing experience and has created a Zeebox-like experience. Announced by COO Reggie Fils-Aime, TVii is a service that will connect into a gamer's TV experience, help them find and watch content, with the like of Netflix, Hulu Plus and Amazon Instant Video supported. As you may have guessed from this list, the service is only set for the US at the moment, but at least the signs are there that Nintendo is taking TV and movie watching seriously, given that its streaming apps on the Wii were frankly embarrassing. While Nintendo hasn't quite explained quite how the TV experience will work, it seems that the Gamepad is essential to TVii – from here you will be able to log into Twitter and Facebook feeds and sites like IMDB will also be integrated into the service. You will also be able to watch trailers straight from the Gamepad. Nintendo has also announced that TiVo DVRs will integrate into TVii – but again, it is a little woolly on the details. Nobody yet has quite nailed second-screen interaction, so it will be interesting to see if Nintendo's kid-friendly interface will manage to entice users. And the fact it is offering TVii for free will be a major plus point. Release dates for the Nintendo Wii were announced today, with the console heading to the UK November 30, the US November 18 and Japan December 8.